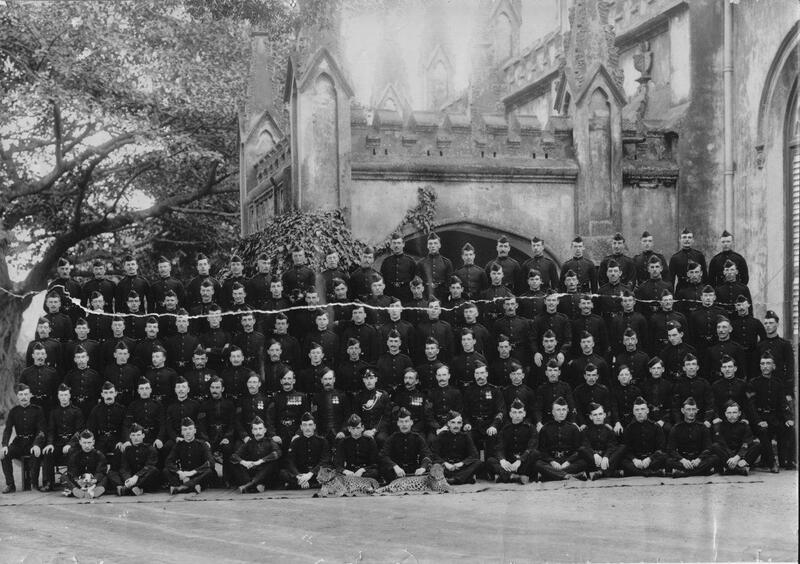 The Rifle Brigade (Prince Consort’s Own) was an infantry regiment of the British Army, formed in 1800 to provide sharpshooters, scouts and skirmishers. The brigade was distinguished by its use of green uniforms as standard in place of the traditional red—the first regular infantry corps in the British Army to do so. In 1800, an “Experimental Corps of Riflemen,” was raised by Colonel Coote Mannningham and Lieutenant-Colonel the Hon. William Stewart, drawn from officers and other ranks from drafts of a variety of British regiments. The Corps differed in several regards from the Line infantry of the British Army. Most significantly, the Rifles were armed with the formidable Baker rifle, which was more accurate and of longer range than the musket, although it took longer to load. As the rifle was shorter than the musket, it was issued with a 21-inch sword bayonet. 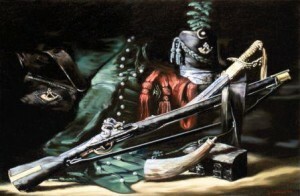 Riflemen wore dark green jackets rather than the bright red coats of the British line infantry regiments of that time; close-fitting pantaloons, rather than breeches; black facings and black belts rather than white; a green plume on their “stovepipe shakoes” which the Light Infantry also wore, as well as other accoutrements unique to Rifles regiments. The riflemen were trained to work in open order and to be able to think for themselves. They were to operate in pairs ahead of the main infantry, which were bunched in close formations. They were taught to make best use of natural cover and to harass the enemy with aimed shots. These tactics, which had originated in campaigns in North America, were unorthodox for the time. It was considered too impractical for individual soldiers to aim at specific targets (see “Battle tactics of Napoleon and his enemies” by Nosworthy) and conventional tactics favoured the mass volley from a close formation and the bayonet. The treatment of soldiers in the new Rifle Corps was markedly different from the line infantry. Although Flogging existed as a means of enforcing military discipline, it was seldom used. 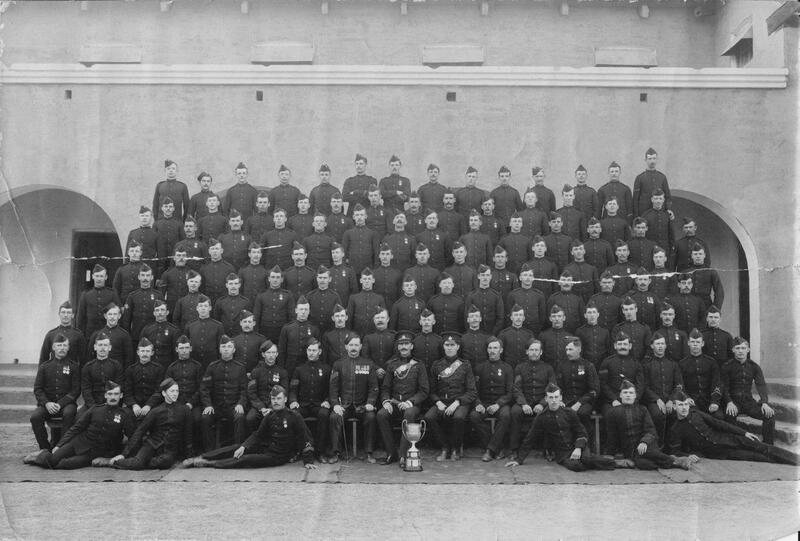 The unit held regular shooting and sporting competitions, and men were rewarded for their achievements. Officers would regularly dine with their men and so became familiar with each man in their respective companies, an unusual practice at the time. the finest colours ever seen. A play on the word colours. To aid speed and mobility, the Rifles used bugles to transmit commands rather than the drums used by Line infantry and for the same reason did not carry Colours. The new regiment was armed with the Baker rifle which, though it took two or three times as long to load. and required a separate calibre of ball (leading to supply issues), was considerably more accurate and effective at a longer range than the standard issue Brown Bess musket of the line regiments and regular light infantry companies. This rifle was an accurate weapon for its day, with reported kills being taken at 100–300 yards (270 m) away. During the Peninsula War, Rifleman Thomas Plunkett of the 1st Battalion, 95th Rifles, shot the French General Auguste-Marie-francois Colbert at a range that may have been even greater. He then shot a second French officer who rode to the general’s aid, proving that this was not just a lucky shot. By comparison, a standard issue Brown Bess musket was unlikely to hit a man-sized target at ranges beyond 80 yards. 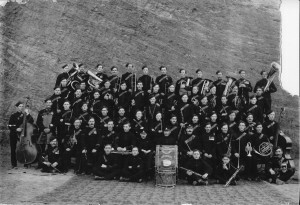 Four months after its formation the Rifle Corps was judged ready for its first operation. On 25 August 1800, three companies, under the command of Lieutenant-Colonel William Stewart, spearheaded a British amphibious landing at Ferrol, Spain, where the Rifles helped to dislodge the Spanish defenders on the heights. Despite the Rifles acting in a valiant manner the expedition was defeated and withdrew on 26 August. In 1801, detachments of the Rifle Corps took part in the British victory at the Battle of Copenhagen, as marksmen aboard Royal Navy ships which were under the command of the legendary Vice-Admiral Horatio Nelson. In 1802 the Rifle Corps was brought into the line of the British Army as the 95th Regiment of Foot, the 95th Rifles. In 1803 the 95th moved to Shorncliffe, Kent, where it underwent training, along with the light infantry regiment the 43rd and 52nd Regiments of Foot, under the tutelage of Colonel Coote-Manningham and Sir John Moore, the latter, like the 95th, would gain fame during the Peninsula War. In 1805 a 2nd Battalion was raised at Canterbury, Kent, and later in the year the 1st/95th deployed to Germany as part of a British expedition, under the command of Lord Cathcart, designed to liberate Hanover from occupation by France, with the 95th subsequently forming the advance guard on the way to Bremen. In February 1806 the 95th formed the rearguard for the withdrawal to Cuxhaven and subsequently returned home to the UK. In October, five companies of the 1st/95th and three companies of the 2nd/95th departed for Spanish-controlled South America, Spain then being allied with France. It was part of a second invasion force that was designed as reinforcements for the first invasion against Buenos Aires, launched earlier in 1806 by Sir Home Popham without the Government’s knowledge. The first invasion had already failed, although Brigadier-General Sir Samuel Auchmuty, commander of the second invasion force, was unaware of this failure. The remaining companies of the 95th were involved in the expedition to Denmark that year. They took part in the Battle of Copenhagen in 1807 as part of Arthur Wellesley’s brigade. The expedition, commanded by Lord Cathcart, was intended to capture the Danish Fleet to prevent it falling into the hands of France. The expedition proved to be a thorough success with the Danish Fleet being captured at which point the British withdrew. In 1808 the 1st/95th took part in an expedition to another Scandinavian country, Sweden, an expedition that was commanded by Sir John Moore and designed to help Sweden during their war with Russia. However, once they had reached Gothenburg in May, the troops remained aboard the anchored ships for two months due to a misunderstanding between the British and Swedish governments and returned to Britain before being redirected to Portugal to take part in the Peninsular War, a war designed to help Portugal and Spain in their fight against the French, and where the 95th Rifles would gain their fame. In August the 2nd/95th was part of the expedition commanded by Sir Arthur Wellesley to Portugal and covered the landings at Mondego Bay. On 15 August they had the distinction of firing the first shots of the Peninsular War during a skirmish at Óbidos against the French, but also unfortunately suffered the first British officer fatality of the war, a Lieutenant Ralph Bunbury. On 17 August the 95th, as part of 6th Brigade which included the 5th/60th Foot, took part in the Battle of Roliça, the first pitched battle of the war, which saw the 95th distinguish themselves greatly. The 1st/95th was force marched in an attempt to arrive with the main force for the Battle of Talavera but despite covering a notable distance they arrived on the 29 July 1809, after the battle. An example of the ability of the Rifles was at the Battle of Nivelle in 1813 (see also the Battle of San Marcial) when a company of the 95th Rifles under the command of Captain Daniel Cadoux held off an entire French division inflicting 231 casualties and suffering 14 killed, including Cadoux. The 95th, having seen distinguished service in the Napoleonic Wars, became the “Rifle Brigade” on 23rd February 1816. Following this, the number was reassigned in 1823 to the newly formed county regiment of the 95th (Derbyshire) Regiment of Foot. The Duke of Wellington served as Colonel-in-Chief of the regiment from 1820 until his death in 1852. It was granted the title “The Prince Consort’s Own Rifle Brigade” in honour of HRH Prince Albert, The Prince Consort, the Rifle Brigade’s former Colonel-in-Chief. When the Crimean War broke out in 1853 the Rifle Brigade sent two battalions which fought at the Alma, where one of the battalions led the advance across the Alma River, Inkerman and at the Siege of Sevastopol. The regiment won eight Victoria Crosses during the Crimean War, more than any other regiment. In 1866, Private Timothy O’Hea of the 1st Battalion, was awarded the Victoria Cross for an act of bravery in peacetime, while his unit was stationed in Canada. On 9 June 1866, at Danville, Quebec, on the main railway between Montreal and Quebec City, a fire broke out in an car containing 2,000 lb (900 kg) of ammunition. O’Hea took charge of extinguishing the fire. 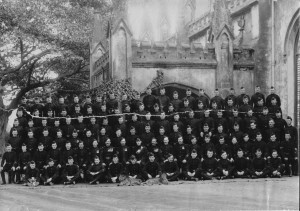 This Photograph was actually taken in India on the North West Frontier at Christ Church in Shimla. Shimla was where the British Army HQ relocated to in summer to get away from the stifling heat in Delhi. The Church is the second oldest Christian church in India and was completed in 1857. It is mustard coloured and is still used. 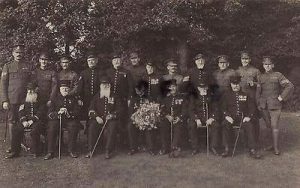 I am not sure of the date of the photo exactly, but some of the soldiers are wearing South Africa medals so it must post date 1902. From the legend on the drum, the soldiers are identifiable as the Prince Consort’s Own Rifle Brigade. This postcard from 1906 that shows a Rifle Regiment doing a ceremonial changing of the guard at The Grand Shaft. 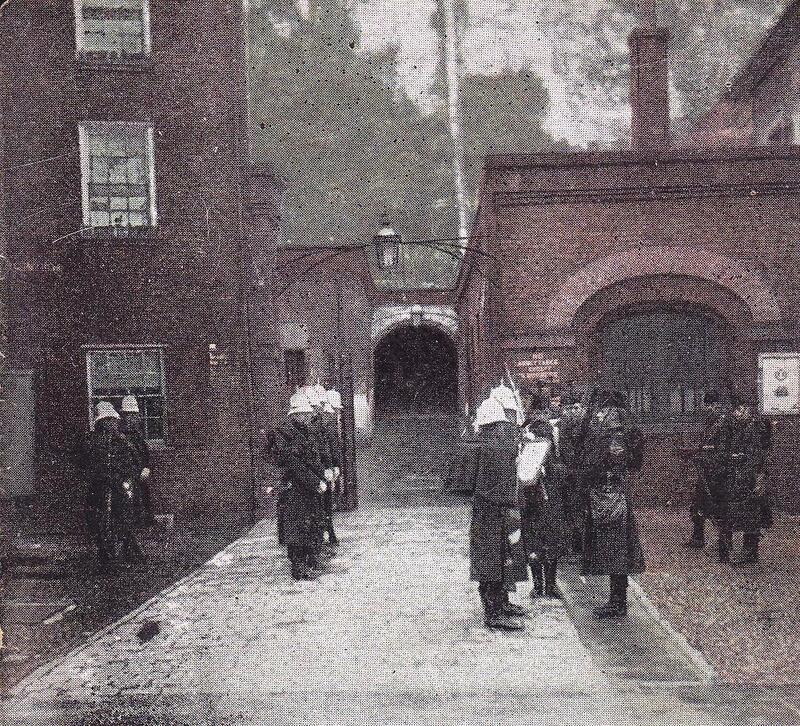 They were not part of the Dover garrison, but did come down for a fortnight’s training as did many others. The Rifle Brigade fielded 28 battalions during the First World War, from its original complement of 4 regular and 2 reserve, seeing service primarily on the Western Front, but also in Macedonia. 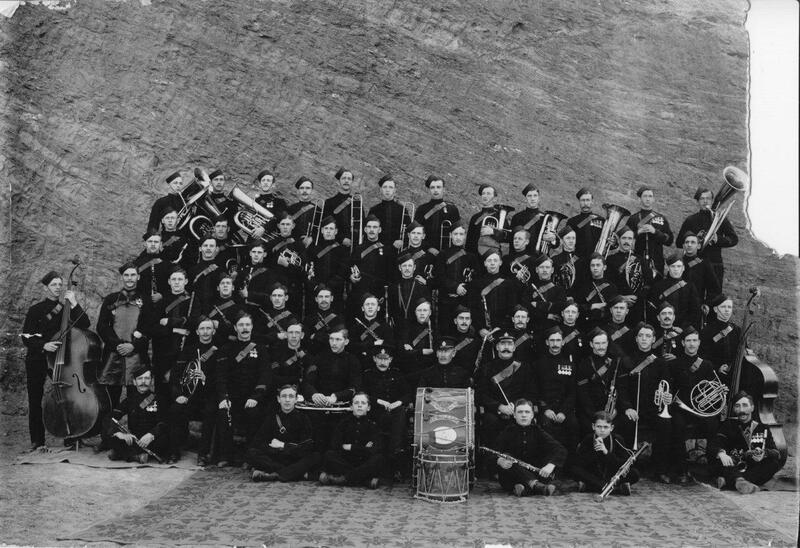 The regiment lost 11,575 killed during the course of the war. 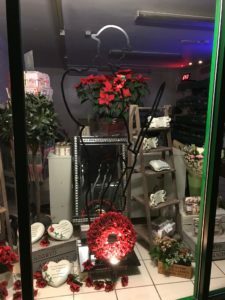 They were awarded many battle honours, 10 Victoria Crosses and many other decorations. 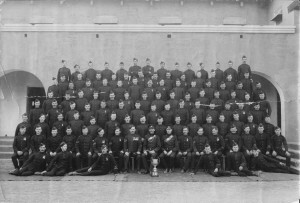 The 8th Battalion of the Rifle Brigade (together with the 7th & 9th battalions) was part of the 41st Brigade of the 14th (Light) Division of XV Corps. They were mainly made up of volunteers from the outbreak of World War I. The battalion saw action including Ypres salient and the Somme. Notably the action they were in at Hooge, Belgium (30–31 July 1915) saw the first use of flamethrowers by the Germans, Sidney Clayton Woodroffe was awarded the VC for his actions in this battle. Alfred George Drake, a corporal in the 8th Battalion, was posthumously awarded the VC for his actions on 23 November 1915, near La Brique, Belgium. They also participated in the Battle of Flers-Courcelette (15 September 1916) during the Somme Offensive which was one of the first uses of the tank in large scale battles by the British. Churchill Crocodile tank, in support of the Rifle Brigade during the attack on Sint Joost, 20–21 January 1945. Many of the houses in the village were destroyed by these flame throwing tanks. 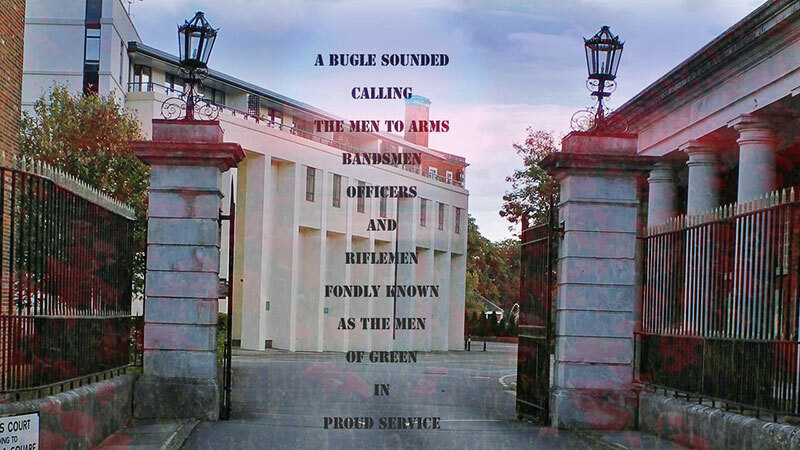 The Rifle Brigade raised seventeen battalions to fight in the Second World War. In 1937, the regiment formed the first motor battalions, a role that would allow the Rifle Brigade freedom of movement which fit their tradition of speed and initiative. The 1st Battalion of the regiment was forced to surrender during the Battle of France in 1940 with the survivors of the 2nd Battalion KRRC and the now embodied Territorial Army battalion of the Queen Victoria’s Rifles (KRRC). After a four day epic battle to hold Calais only 30 men escaped by Royal Navy launch just at the point of surrender, late afternoon 26 May, but not before they had fought a gallant last stand using up the last of their ammunition as they pulled back into the port. The 1st Battalion was reformed in the UK and took part with the 2nd Battalion in the battles in North Africa. The 1st Battalion’s four 6-pounders were credited with destroying 19 tanks from the 21st Panzer Division at the Battle of Alam el Halfa on the 31 August 1942. The 2nd Battalion Rifle Brigade fought with distinction in the Western Desert Campaign, especially in the “Snipe” action during the Battle of El Alamein, where the four 6-pounders of that battalion, supported by a Royal Artillery 6-pounder Anti-Tank battery, destroyed fifty-one German and Italian tanks in a battle that lasted sixteen hours. Lieutenant Colonel Turner received the Victoria Cross for his actions fighting with the guns. Four battalions of the regiment fought in the Italian Campaign, the 1st returning to England in December 1943 to prepare for the invasion of North West Europe. The remaining three battalions were formed into 61st Infantry Brigade, but continued their accustomed role of co-operating with armour when conditions allowed. Their capture of the hills of Perugia involved four successive night attacks. The 1st and 8th Battalions landed in Normandy, in June 1944, and fought their way through France, Belgium and the Netherlands to end the war in the vicinity of Hamburg. From spring 1946 a number of surplus Rifle Brigade subalterns were transferred to No1 T-Force, a British Army unit which was active in the Ruhr. Their role was to carry out reparations work, evacuating military and industrial equipment needed to rebuild British industry. 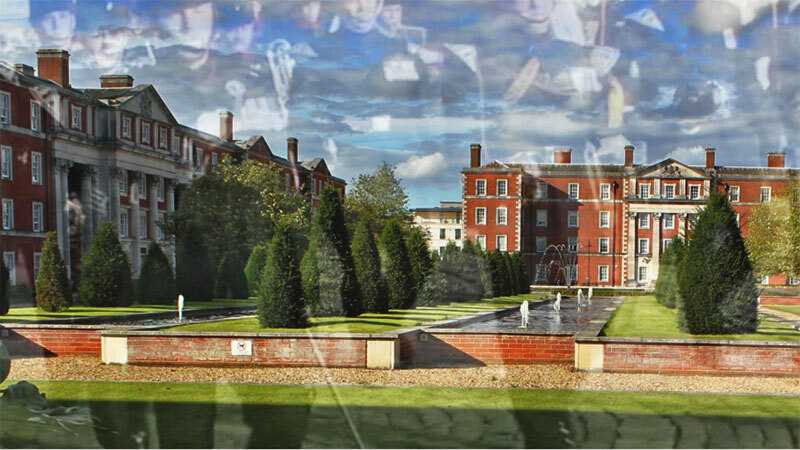 In 1958 the 1st Battalion was the last surviving battalion that traced its lineage back to the 95th. 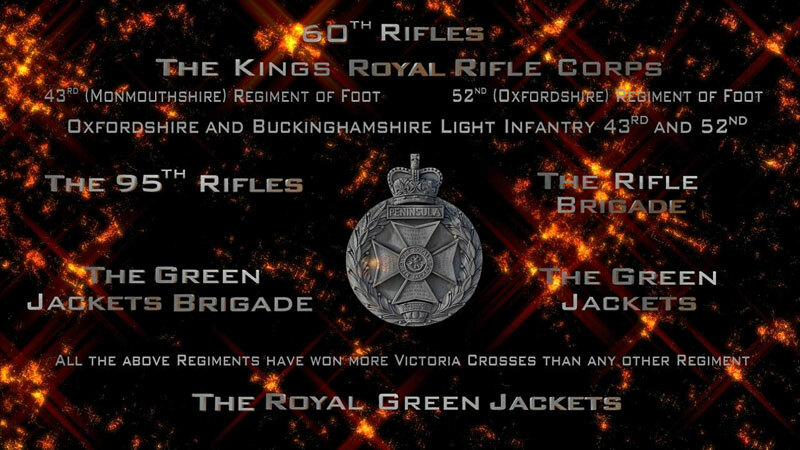 It was renamed the 3rd Green Jackets Regiment of the Green Jackets Brigade. When the brigade was amalgamated into the Royal Green Jackets in 1966, it became its 3rd Battalion. In 1970 it was reduced to company strength before being reconstituted at Shoeburyness in 1972. In 1992 the 1st battalion was disbanded and the 2nd and 3rd battalions were renumbered as the 1st and 2nd respectively. On 1 February 2007 the 2nd battalion were ceremonially rebadged at Kiwi Barracks in Bulford to become the 4th Battalion of the newly formed regiment – The RIFLES.